Tranquil blue waters, hot Caribbean sun and nostalgic soft serve ice cream with bright candy sprinkles...let's skip spring and move into summer! But seriously, spring needs to come ASAP. You may be wondering about the lower right photo, that's me standing on the glass bridge aboard the Royal Princess. 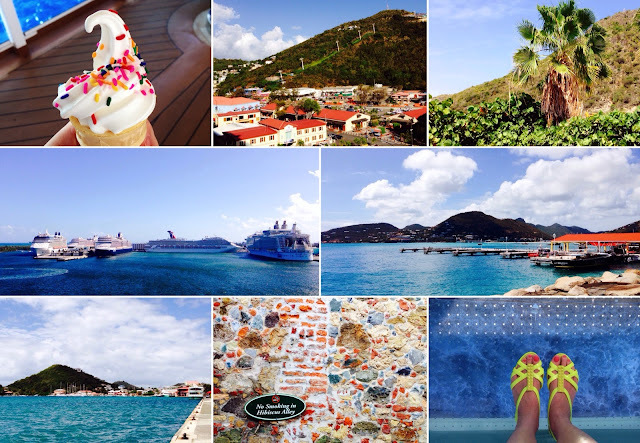 All other photos taken in Florida, St. Thomas and St. Maarten.